“Important Marine Mammal Areas (IMMAs) across the Mediterranean Sea” and “Mediterranean Grampus Project 2.0”. Giuseppe Notarbartolo di Sciara, keynote opening talk – Marine Mammal Science and Conservation in the Mediterranean: The Line is Traced, Let’s Walk It. Arianna Azzellino, Caterina Lanfredi, Maddalena Jahoda, Valentina De Santis, Margherita Zanardelli, Sabina Airoldi – Time matters. Why we should consider more the temporal resolution of our studies. 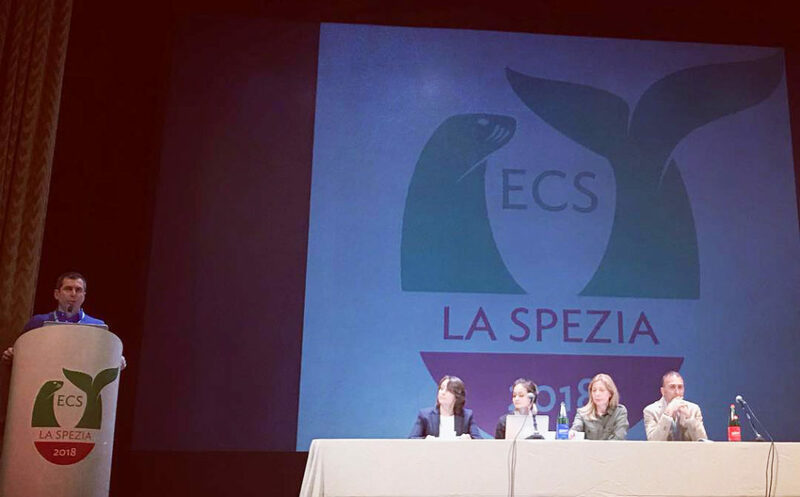 Elisa Remonato, Sabina Airoldi, Massimiliano Rosso, Caterina Lanfredi, Luca Bittau, Renata Manconi, Carla A. Chicote, Manel Gazo, Aurelie Moulins, Paola Tepsich, Alessandro Verga, Arianna Azzellino – Where are the Risso’s dolphins (Grampus griseus) of the North Western Mediterranean Sea? Study of Movements Within and Outside the Pelagos Sanctuary. Valentina De Santis, Arianna Azzellino, Caterina Lanfredi, Sabina Airoldi – Are bottlenose dolphins (Tursiops truncatus) increasing in the North–Western part of the Pelagos Sanctuary (Mediterranean Sea)? Maddalena Fumagalli, Amina Cesario, Marina Costa, Elisabeth Slooten, James Higham, Giuseppe Notarbartolo di Sciara – A combined social-ecological approach for the assessment of the Samadai Reef management plan.